Born in Zhejiang Province in 1978, Shan Feiming 单飞鸣 studied at the Beijing Central Academy of Fine Arts. Influenced by the films of Wim Wenders, he moved to Germany to study photography at the Brunswick Art Institute. Today he is based in the city of Hangzhou, famous for West Lake, classified a World Heritage Site by UNESCO. So it comes as no surprise that Shan has developed a special relationship with nature. His series Waking from Hibernation (2012)—in Chinese, 惊蛰 or jīngzhé, literally “the awakening of insects—symbolizes the end of hibernation and the arrival of spring in March. 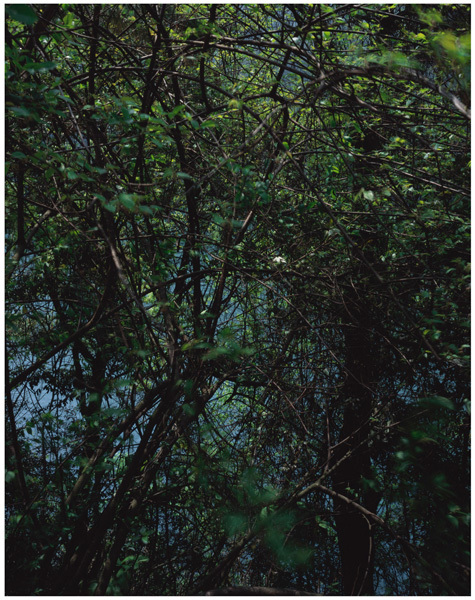 Shot near a pond not far from his house in Hangzhou, the photographs in this series show the essence of untameable wilderness with its striking colors. “Seeing the same trees and landscapes every day, I started to perceive the changes of colorwith the changes of seasons and weather,” says Shan. 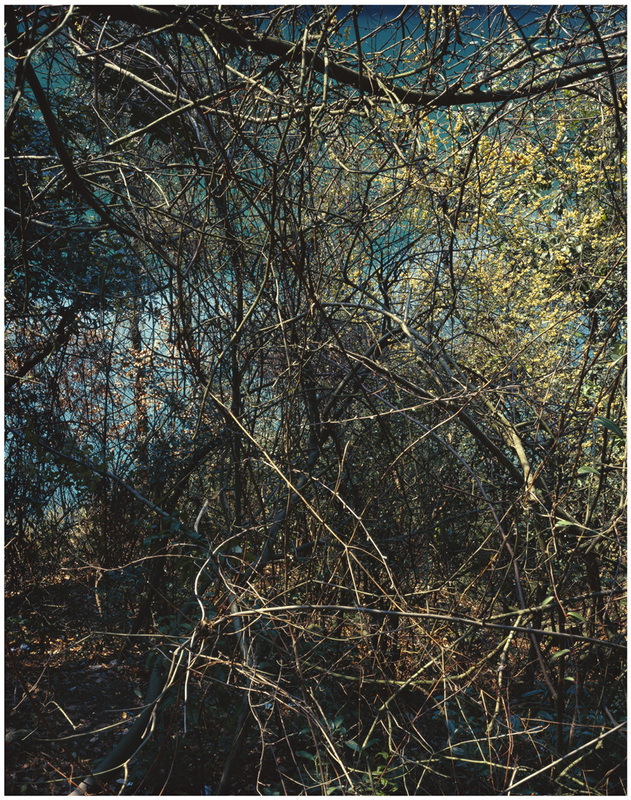 At the time, the photographer was living through a time of transition, tangled and confused like his images of branches.